Going electric is an inevitable future and we’ve already seen the transformation on the roads. 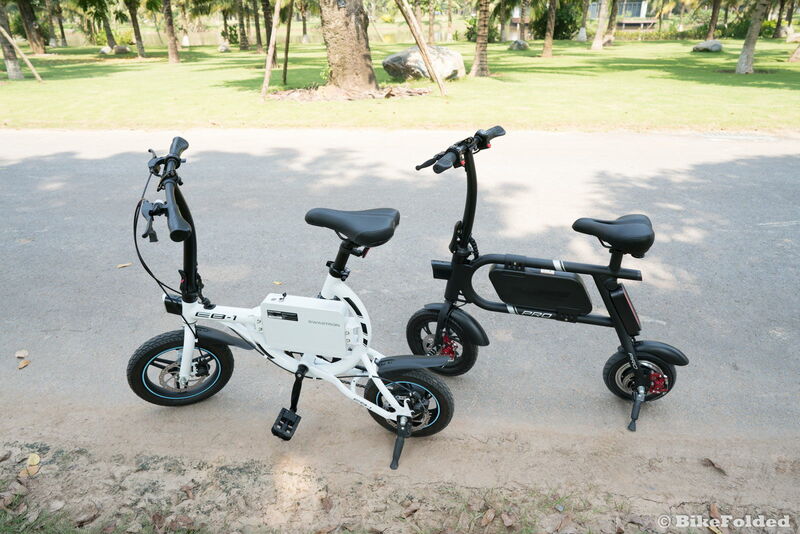 Electric vehicles become much more popular, especially electric bikes can be seen everywhere. 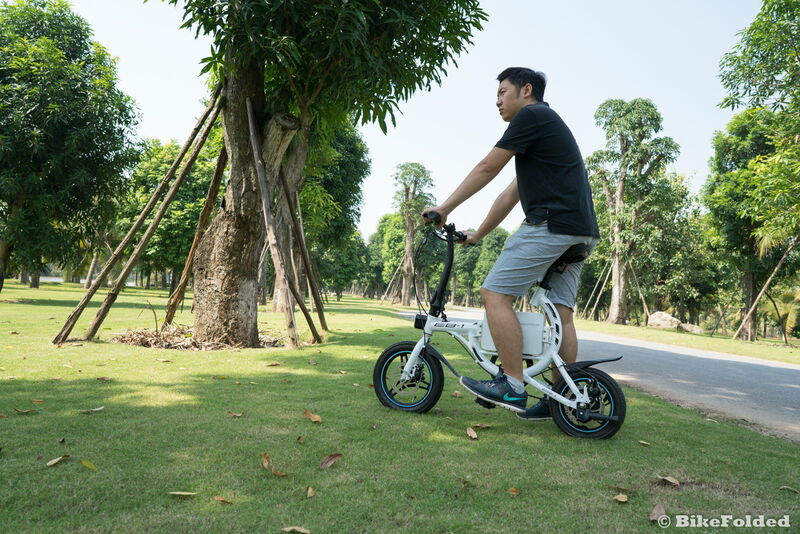 Even New York City lifted the ban for electric-assist bicycles with the speed of 20mph or lower. 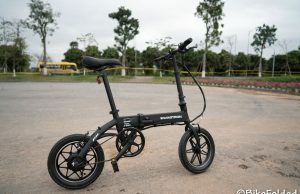 However, most e-bikes are made in China and they don’t have the same quality. Some are great but some are rubbish. Our job is to test as many bikes as possible and recommend to you the good ones. 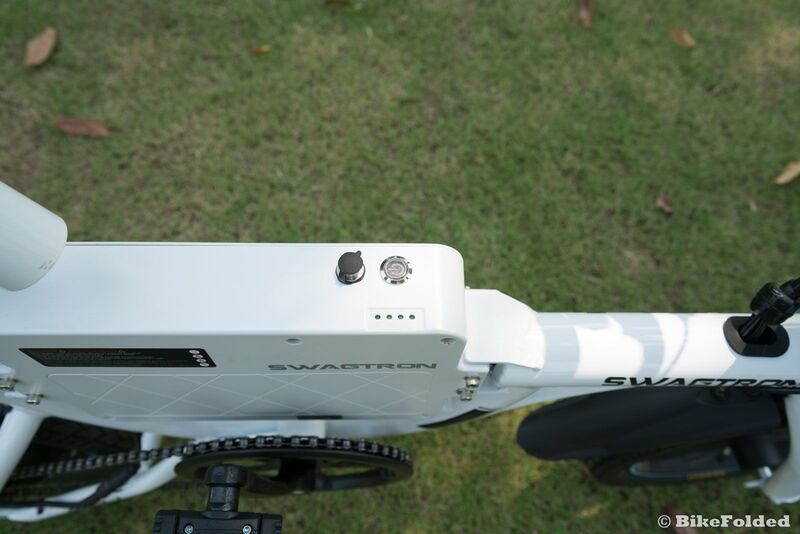 In this post, we’re checking out the Swagtron SwagCycle EB-1. 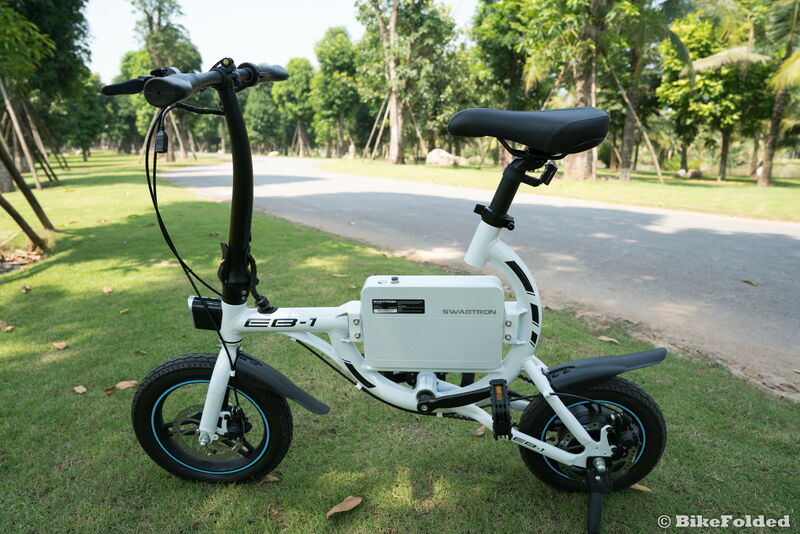 I expected a lot from the Swagtron SwagCycle EB-1 electric bike and I thought it would ride as great as my previous e-bikes. Unfortunately, I had the problem with this bike as soon as I took it out of the box. The bike came almost assembled and I just needed to attach the pedals and the seat post. The seat post couldn’t fit into the tube and I almost gave up testing the bike. I contacted support and they suggested me to use a flathead screwdriver to gently pry open the seat tube. I gave it another try and it took me an hour to finally push the seat into this tube. Now, the seat can barely move and it is not easy to adjust the height, but at least, I can ride the bike now. 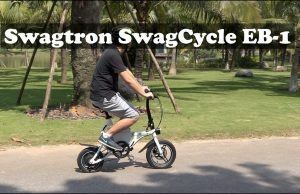 Obviously, the tube is made too tight and SWAGTRON has some problems with quality control here. Some other owners of the bike don’t have this issue at all. I was quite excited when riding this SwagCycle EB-1. I was very surprised that it didn’t take too much effort when I climb some steep hills. 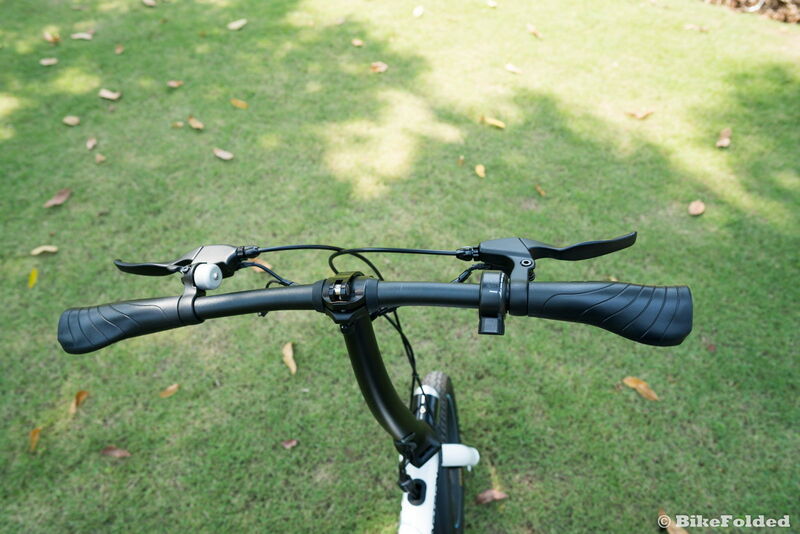 The bike has a very low gear and with the help of pedal assist, I could climb 20-degree inclines with ease. 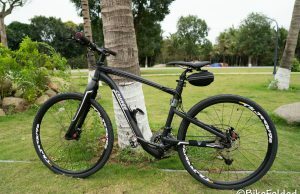 However, when I use the bike on flat roads, I realized how slow it is, either in the pedal assist or full throttle mode. I couldn’t follow other riders with a normal folding bike. My average speed on this bike is just around 9 mph. 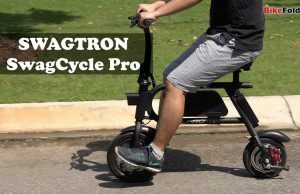 It is significantly slower than the SWAGTRON SwagCycle PRO. Another disappointment is the battery life. In the full throttle mode, the battery range could reach just over 7 miles. In the mixed mode (both pedal assist and throttle mode), it can go a little further at 9 miles. That means I will need to recharge the battery after riding for just an hour. A full charge would take less than 3 hours. 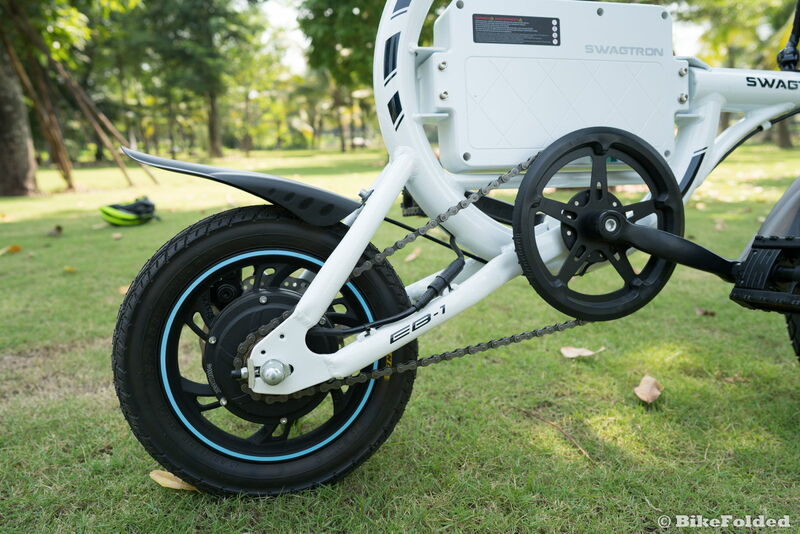 Besides, the Swagcycle is not really small in the folded position. 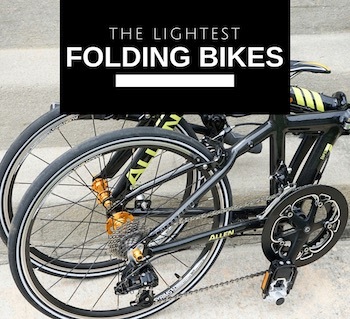 This is because you can only fold down the handlepost. Fortunately, it still can fit in my car trunk, so I can transport the bike easily. Last but not least, I don’t really like the design of the seat. I really doubt it could be broken when the bike is used by heavy riders. Besides, even when I set the seat height at the highest level, it is still very low and I don’t feel comfortable riding it. 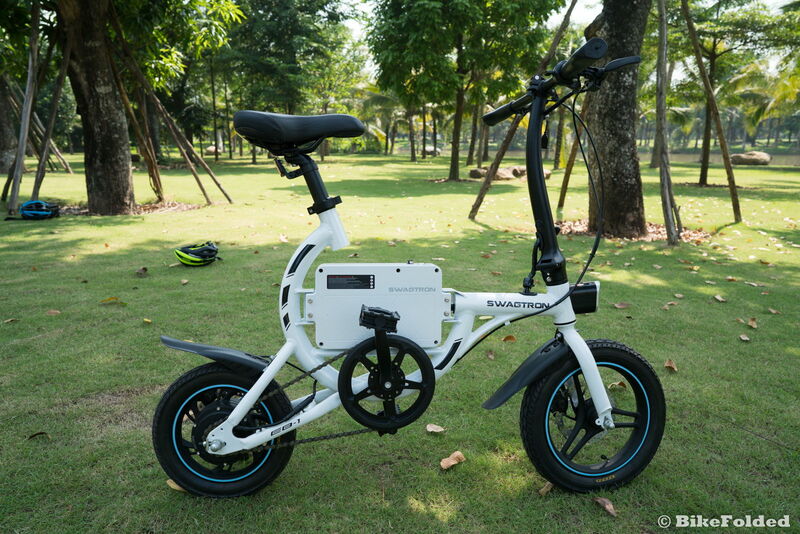 I want to use an e-bike because it could help me ride faster and further. 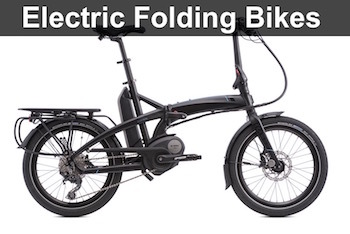 Unfortunately, the SwagCycle EB-1 fails to deliver both of the purposes, therefore, we at BikeFolded don’t recommend the bike. 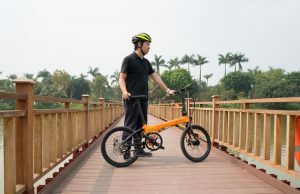 A cheap e-bike with a lot of shortcomings.